In busy daily world it acts as a support to its users, parents now need not to be worried of their children leaving for and from their coaching's or etc, they can simply track their child even when at work, with use of our different type of gps trackers. Same goes with those who look after their old parents, elder members of the family can also be looked after by facilitating them with the gps tracker suiting their needs. Companies who manage vehicle fleets of any size, from I to some 1000 or more, will enjoy many benefits from GPS vehicle tracking services by not only keeping track of their vehicles, but by improving their bottom line. 20,000+ People trust Mymap! Be one of them today. 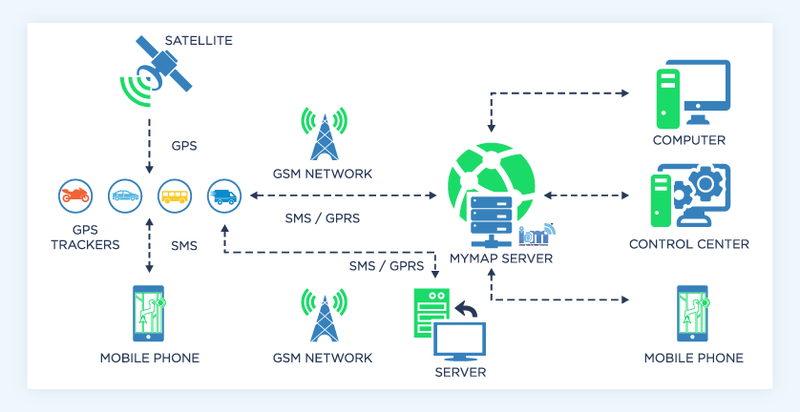 MyMap.in is a sister concern of TeloGo Communications Limited, a leading global telecom technology service organization, focusing on mobile messaging services worldwide. © 2017 MyMap.in. All Rights Reserved. Powered by TeloGo Communications Ltd.